Expedia Map of Midway Islands - Expedia Map of Midway Islands - Zoom in - move map, re-center and other options make Expedia maps superb tools. Their maps are clear and the many options make finding what you want. Perry-Castañeda Library Map Collection - Midway Islands - (Small Map) 2005 (8k). 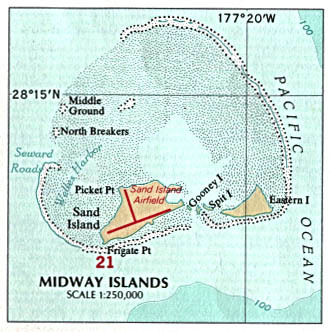 Perry-Castañeda Library Map Collection - Midway Islands - (Political) 1970 (60k).